"Teaching the auto-graphic novel: autobiographical comics and the ethics of readership." In Robert Weiner and Carrye Syma (eds. ), Graphic Novels and Comics in the Classroom: Essays on the Educational Power of Sequential Art. McFarland: 134-144 (2013). "Shaking Hands with Other Peoples' Pain: Joe Sacco's Palestine.'" In Mosaic 46.1 (March 2013): 19-36. "The Ethics of Vision in With Raised Hands." In Short Film Studies vol. 2.1 (2011): 25-8. "Queering the Family Album: the re-orientation of things in Alison Bechdel's Fun Home." In Forum for World Literature Studies vol. 3.1 (April 2011): 40-51. "Thinking and Rethinking Whiteness: Todd Haynes' Safe." In American Studies in Scandinavia vol. 41.2 (Fall 2009): 61-78. “Tactile Erotics: Gertrude Stein and the Aesthetics of Touch.” In LIT: Literature, Interpretation, Theory vol. 18.3 (July 2007): 193-212. Scherr, Rebecca (2015). Comics in Ruins: Comics art, ruins, and the politics of humanitarian witnessing. Scherr, Rebecca (2014). Confessional Witnessing: Human Rights Discourse in Mia Kirshner's I Live Here. Scherr, Rebecca (2014). The Ethics of War and Conflict in Graphic Narrative. Scherr, Rebecca (2013). Constitutions, Declarations, and Humanitarian Witnessing: human rights images in America. Scherr, Rebecca (2013). Frames of recognition: Joe Sacco's Footnotes in Gaza. Scherr, Rebecca (2013). Joe Sacco's Comics of Performance. Scherr, Rebecca (2013). Teaching Whiteness: American whiteness studies in the Norwegian classroom. Scherr, Rebecca (2012). Framing Subjects: the politics of representation in Joe Sacco’s Footnotes in Gaza. Scherr, Rebecca (2012). Introduksjon til Catherine Breillats 'Helvetets Anatomi'. 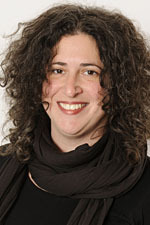 Scherr, Rebecca (2012). Shaking Hands with Other People's Pain: Joe Sacco's Palestine. Scherr, Rebecca (2012). Tender Buttons - nærlesning av Gertrude Stein. Scherr, Rebecca (2011). Joe Sacco's Palestine and the Ethics of Representation. Lothe, Jakob; Grimstad, Knut Andreas & Scherr, Rebecca (2010). Når livsløgner står for fall [samtale om Abi Morgans "Blendverk"]. Scherr, Rebecca (2010, 17. februar). J.D. Salinger - A Portrait. [Radio]. Radio Nova. Scherr, Rebecca (2010). Queer film, global transformations. Scherr, Rebecca (2010). Queering the Family Album: The Politics of Emotion in Alison Bechdel's Fun Home. Scherr, Rebecca (2009). Basic Concepts of Cinema. Scherr, Rebecca (2009). Queer Citizenship/ Global Queer: the transformation of queer identities in our age of globalization. Scherr, Rebecca (2008). Teaching film as film: history, aesthetics, analysis. Scherr, Rebecca (2008). Whiteness and Embodiment in Todd Haynes' 'Safe'. Scherr, Rebecca (2007). Basic Concepts of Cinema. Scherr, Rebecca (2007). Intersections of Race and Sexuality in American Film. Scherr, Rebecca (2007, 02. desember). On Sylvia Plath. [Radio]. Radio Nova. Scherr, Rebecca (2007). Redirecting the gaze: examining whiteness and institutional structures. Scherr, Rebecca (2007). White privilege and racial identity development. Scherr, Rebecca (2006). Documentary Film: Theory and Aesthetics. Scherr, Rebecca (2006). Spaces of travel, race and narration in Far from Heaven and Transamerica. Scherr, Rebecca (2006). Basic Concepts of Cinema. Scherr, Rebecca (2005). Syn/aesthetics: Touch, Sound and Vision in the Works of Gertrude Stein, Djuna Barnes and Muriel Rukeyser.